At Vestpod, we want to empower you to take control of your finances. We understand how daunting it is to dive into the unglamorous world of pensions, savings and ISAâ€™s, but we are confident that with the right resources and a friendly pointer in the right direction, youâ€™ll come out of this smarter and more confident. Weâ€™ve taken a pledge not to sleep at night until youâ€™ve achieved your financial goals, so stick with us, keep on reading and before you know it, youâ€™ll be living your life debt-free and retirement-ready. 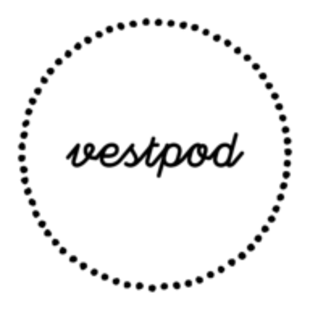 On us: Why Vestpod? Why women? Why now? Weâ€™ve got the ambition. Weâ€™ve got the brains. Weâ€™ve got the motivation. So what exactly holds us back from achieving our goals? Too often, we see women that simply lack the financial education and confidence to make informed decisions. It doesnâ€™t help that having an honest discussion about money feels awkward. On top of it all, the personal finance industry is difficult to navigate and resources are hard to digest. This is why we created Vestpod. We want to empower 1 million women financially. You can read about our mission here. On women and finance: Women are engines for growth. So why exactly is it a win-win to empower women financially? Why are economically empowered women so-called â€˜engines for growthâ€™? Sallie Krawcheck, the founder of US digital investment platform, Ellevest Women, discusses just that. She skillfully argues that, actually, men are not â€œjust betterâ€� at making money and investing than women. Women control $5 trillion in investable assets in the US. If a mere 5% of that found its way to the stock markets, it would represent $250 billion pouring into the capital markets. And all that money would be available to fund more companies and their growth. Pretty impressive, no? Read the whole thing: Is Money the Great Equalizer For Women? On savings: The 8th wonder of the world according to Einstein. Truthfully, we had no idea that Einstein wrote about finance, either. Is there anything that man couldnâ€™t do? The moustached genius made a pretty solid point: â€œCompound interest is the eighth wonder of the world. He who understands it, earns itâ€¦ he who doesn'tâ€¦ pays it.â€� Indeed, Albert couldnâ€™t be more right - compound interest is a key concept in personal finance, and youâ€™ll hear us talking about it - a lot. The whole beauty of compound interest is that it is â€œinterest on interestâ€�, and makes a deposit or loan grow at a faster rate than simple interest. Â Ok, you say, so what does this mean in practice? The author of this piece argues that saving for 10 years can pay more than saving for 40, but the key is to start saving early. Are you really gonna argue with Einstein? Go start saving! On something thatâ€™s super easy to do: ISAs are actually cool. Youâ€™ve probably heard about ISAâ€™s by now - thatâ€™s because making contributions to an ISA is simple, smart and we canâ€™t think of a single reason why you wouldnâ€™t have one. What exactly is it, though, and how does it work? ISA stands for Individual Saving Account that you never pay tax on. Following an overhaul of ISAs in 2014, the annual ISA allowance became more generous, which means you can now take advantage of some impressive tax savings. Told you it was simple. Ka-ching! And, before you go... Have you heard about the ISA millionaires? There are around 200 ISA millionaires in the UK - but how long do you have to wait until youâ€™re part of the club? Itâ€™s hard to say, mostly because of the intricacies of fiscal framework and market performance, but Fidelity Personal Investing did some calculations for you. They basically say that, based on the assumption that you invest your full ISA allowance every year, the allowance will rise in line with inflation of 2% each year. Your investments will achieve 5% annual growth but cost 1.1% a year in charges. Cut to the chase - you would have Â£1m in your ISA after 27 years and 10 months. We think itâ€™s certainly worth a try.